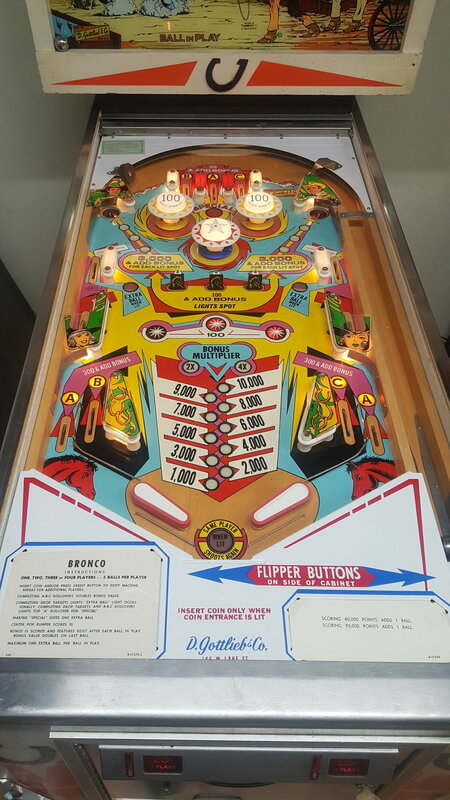 Bronco is a four player Electro Mechanical game. 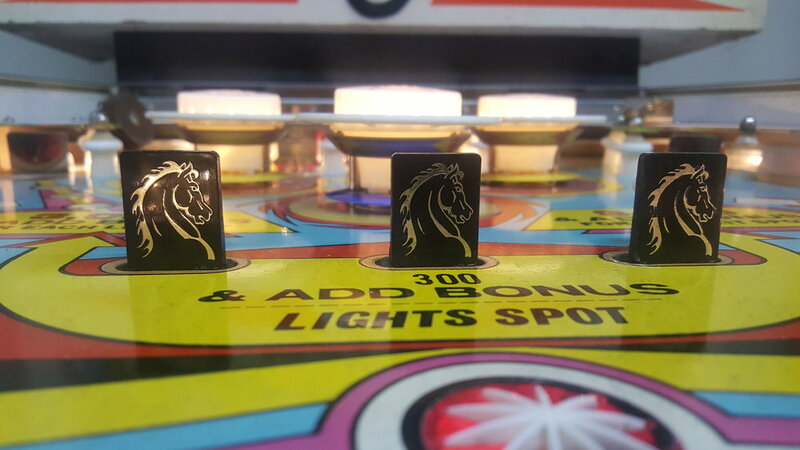 The two player version is called Mustang. 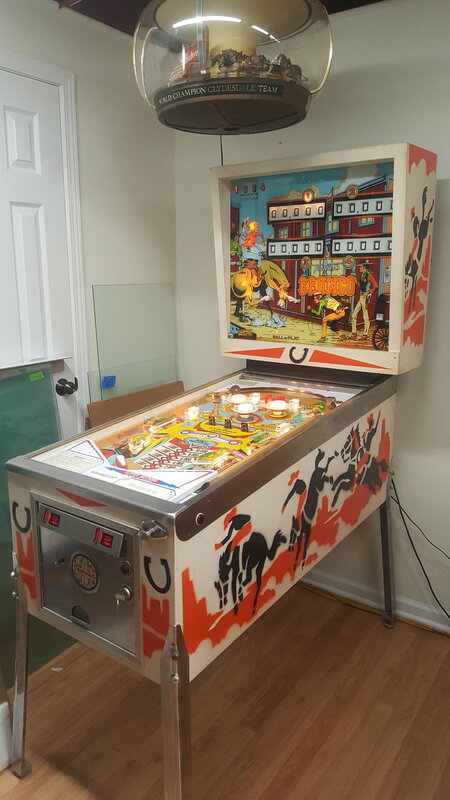 It is a western themed game featuring pop numpers and three black horse drop targets. All mechanics have been tested and verified. Brand new drop targets, thumper caps and freshly rebuilt thumpers.